We’ve asked jewelry and insurance experts to weigh in on what it takes to make sure you’ll be able to enjoy your ring for years to come — no matter what life throws at your left hand. 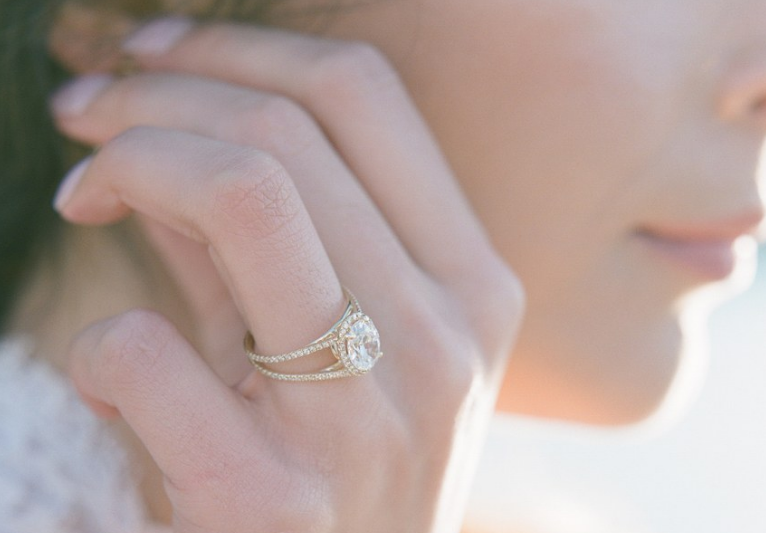 Read on to learn everything about how to insure wedding rings! Your soon-to-be fiancé can insure the ring as soon as it is purchased and in his possession—much like you would insure a car prior to driving it off the lot. You might not initially be thinking of anything happening to your precious and sentimental token, but the sooner it’s insured, the sooner you’ll be protected. Once purchased, you or your fiancé can begin to shop for ring insurance providers. When it comes to insuring your engagement ring (or other valuable jewelry for that matter) you have two options. If you have homeowners’ or renters’ insurance, you can purchase an extension (also called a “rider”) that covers your engagement ring specifically. If you don’t have homeowners’ or renters’ insurance you can take out a policy through a company that specializes in jewelry insurance like Jewelers Mutual. Independent companies like Jewelers Mutual are also worth a look if your wedding ring insurance provider doesn’t offer the specific coverage you require. Estimated costs to insure rings average $1 to $2 for about every $100 your ring is worth. In theory, then, you can anticipate a premium of $100 to $200 a year. What happens if a suitable replacement cannot be found?